President Obama arrived in Havana on Sunday for a historic visit, becoming the first U.S. president in 88 years to visit the island nation. Players warm up before the start of a baseball exhibition game between Cuba and US Tampa Bay Rays at the Latinoamericano Stadium in Havana, on March 22. Choreographer and former dancer of Cuba Alicia Alonso (L), receives applause after arriving to hear President Obama's address the people of Cuba at the El Gran Teatro de Havana, in Havana on March 22. 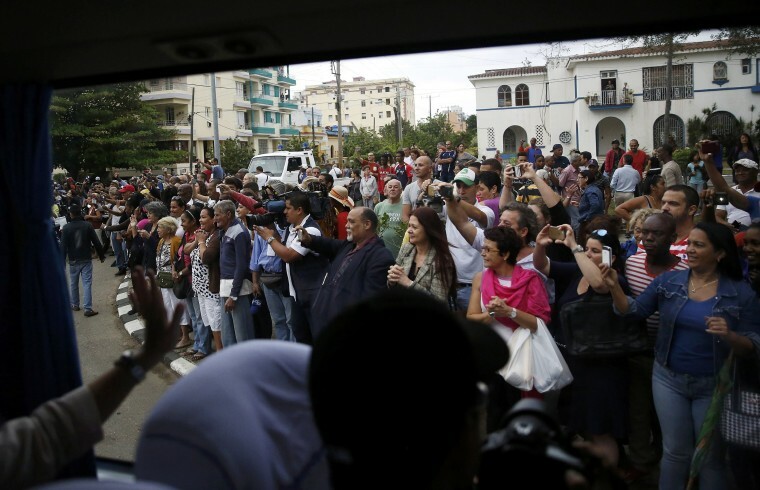 Tourists at an antiques shop watch Obama's speech on a television, in Havana, on March 22. The speech was nationally televised to the 11 million people on the communist-controlled island. 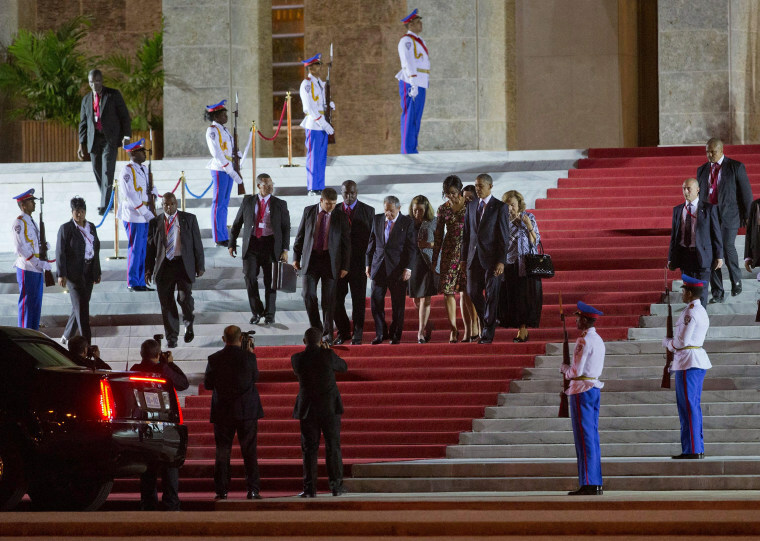 President Barack Obama, center right, and first lady Michelle Obama walk out with Cuban President Raul Castro, center, after attending a State Dinner at the Palace of the Revolution on March 21 in Havana. President Barack Obama attends a State Dinner hosted by Cuban President Raul Castro, right, at the Palace of the Revolution in Havana. 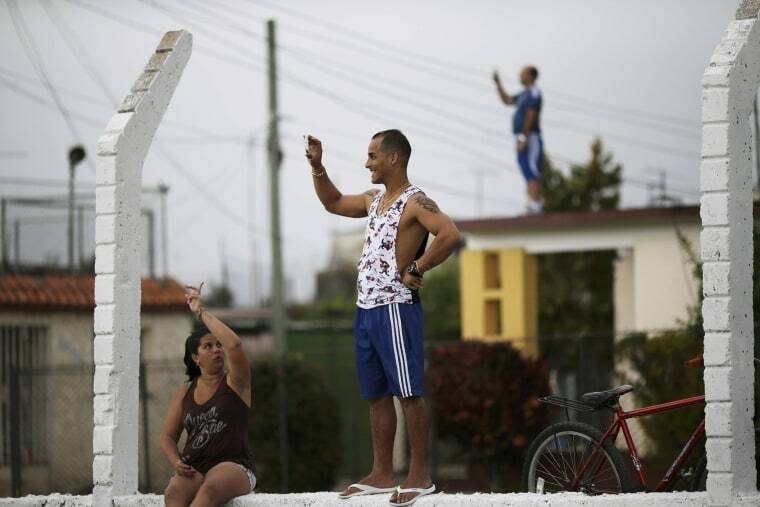 Cubans react as they await the visit of President Obama to downtown Havana on March 21. 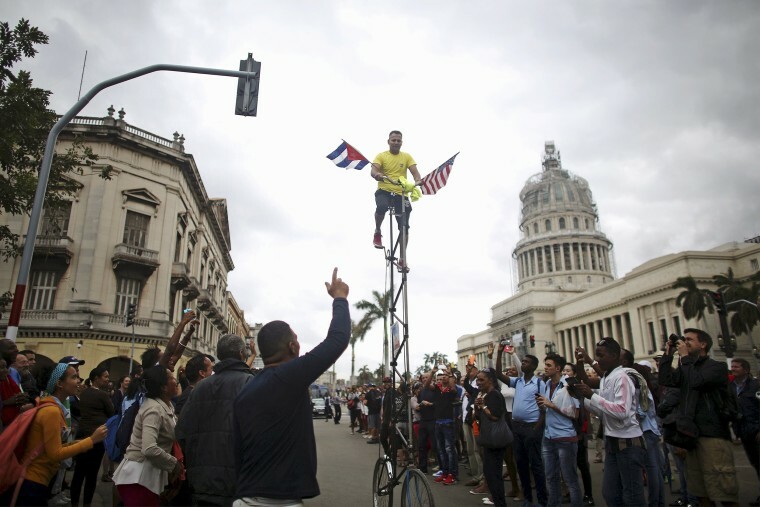 A man pedals a tall bicycle displaying the U.S. and Cuban flags near the Capitol as people wait for President Obama to visit downtown Havana. 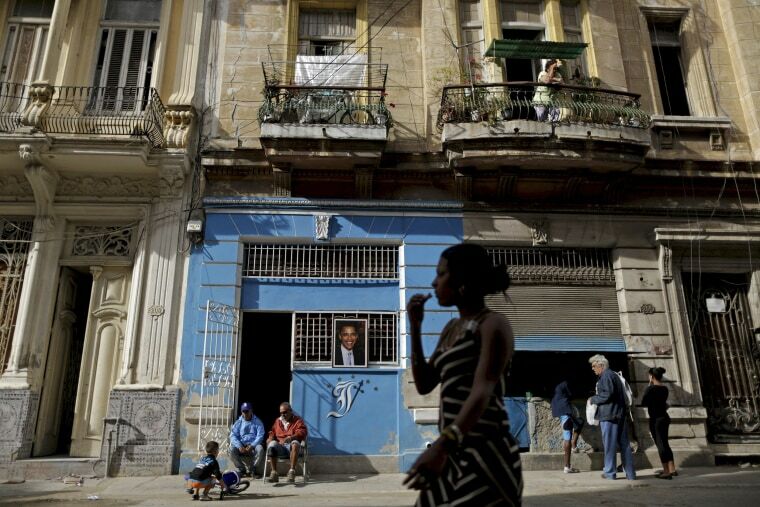 A portrait of President Obama hangs on a street in Havana on March 21. 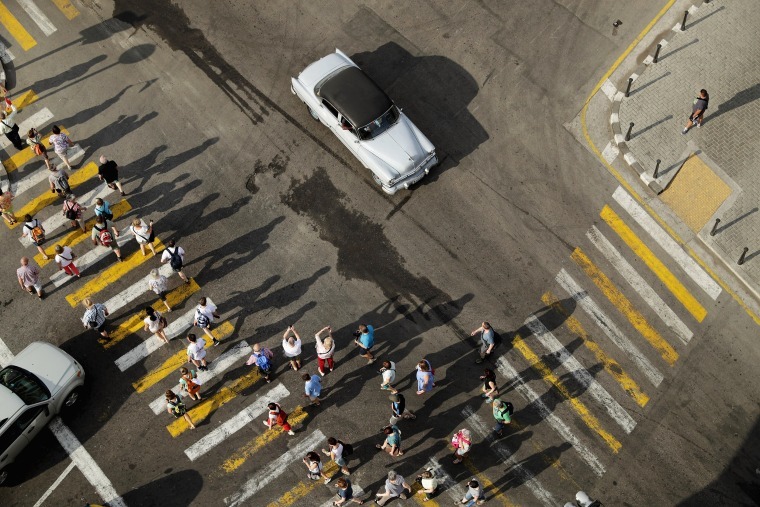 Cubans line the road to see the motorcade of President Barack Obama as he is driven to the first meeting with Cuban's President Raul Castro on the second day of Obama's visit to Cuba on March 21. 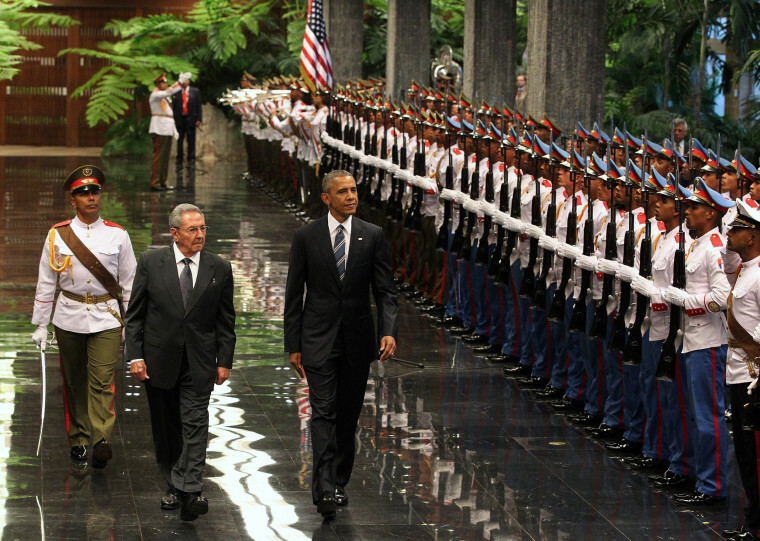 President Barack Obama is received by Cuban President Raul Castro at the Palace of the Revolution in Havana on March 21, 2016. 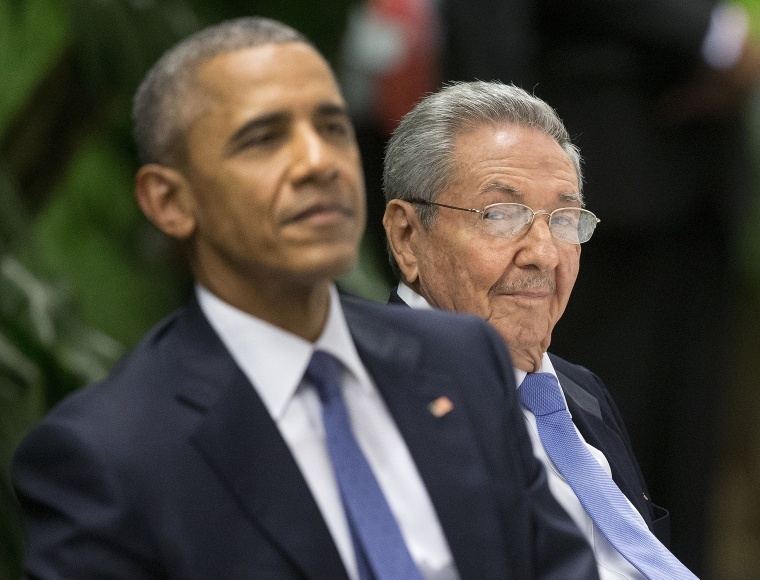 President Barack Obama and Cuban President Raul Castro greet one another before bilateral meetings at the Palace of the Revolution on March 21, 2016 in Havana. These are the first direct talks between Castro and Obama, the first sitting U.S. president to visit Cuba in 88 years. 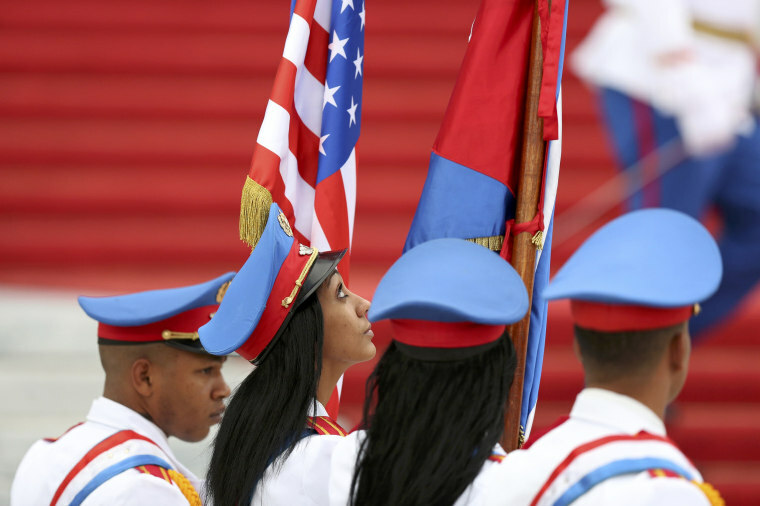 Honor guards carry the U.S. and Cuban flags as they stand at the bottom of the stairs of the Revolution Palace during a visit by U.S. President Barack Obama in Havana on March 21, 2016. U.S. President Barack Obama, and Secretary of State John Kerry, left, stand as an honor guard marches during a ceremony to lay a wreath at the Jose Marti monument in Revolution Square in Havana, on March 21, 2016. Center left is Salvador Valdes Mesa Vice-President of Cuba's State Council. 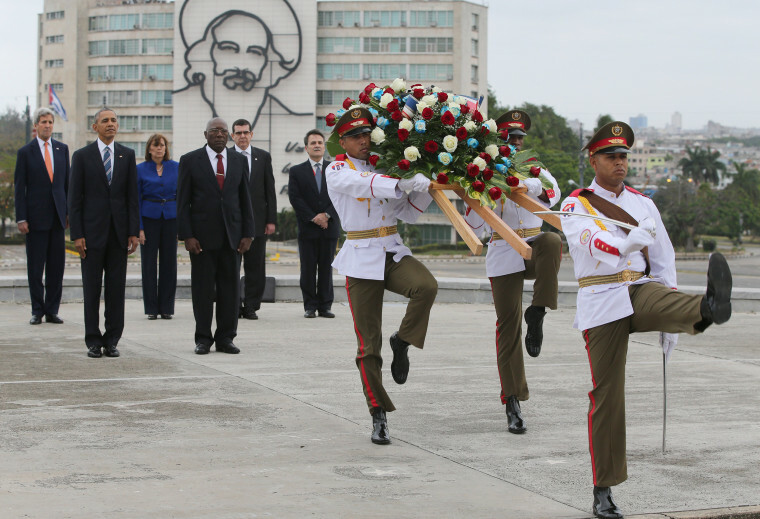 "It is a great honor to pay tribute to Jose Marti, who gave his life for independence of his homeland. His passion for liberty, freedom, and self-determination lives on in the Cuban people today," Obama wrote in dark ink in the book after he laid a wreath and toured a memorial dedicated to the memory of Jose Marti. 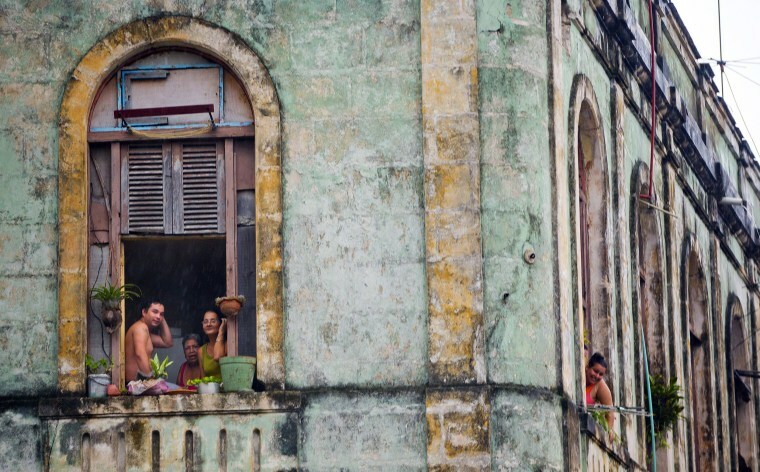 Cubans watch from their homes as the motorcade of U.S. President Barack Obama arrives in a section of Old Havana, on March 20, 2016 in Havana. 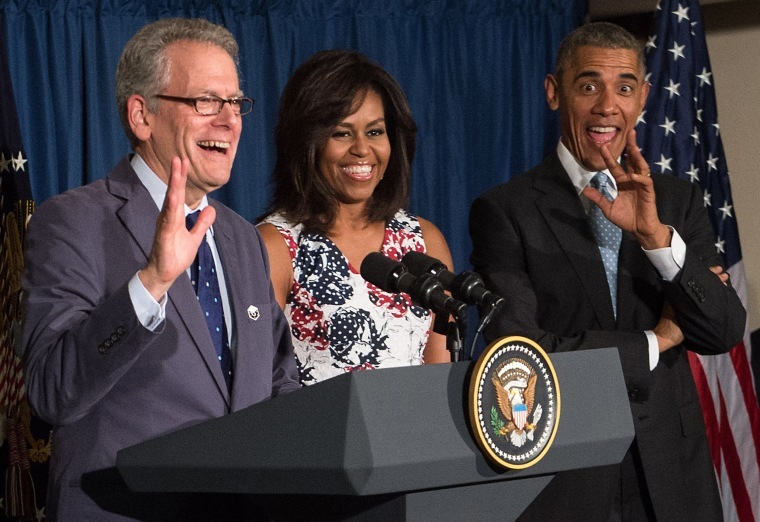 President Barack Obama, First Lady Michelle Obama and U.S. Charge d'Affaires in Cuba Jeffrey DeLaurentis meet with U.S. embassy staff in Havana on March 20, 2016. 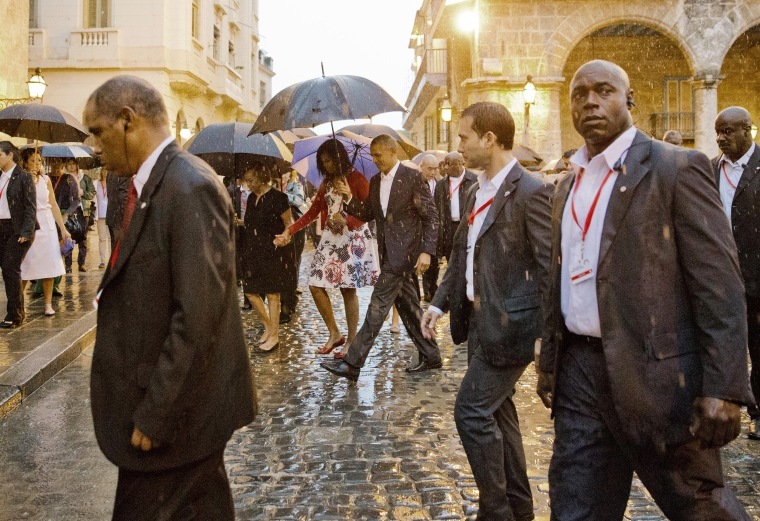 U.S. President Barack Obama, center, walks with first lady Michelle Obama, who holds the arm of her mother Marian Robinson, during a walking tour of Old Havana on March 20, 2016. 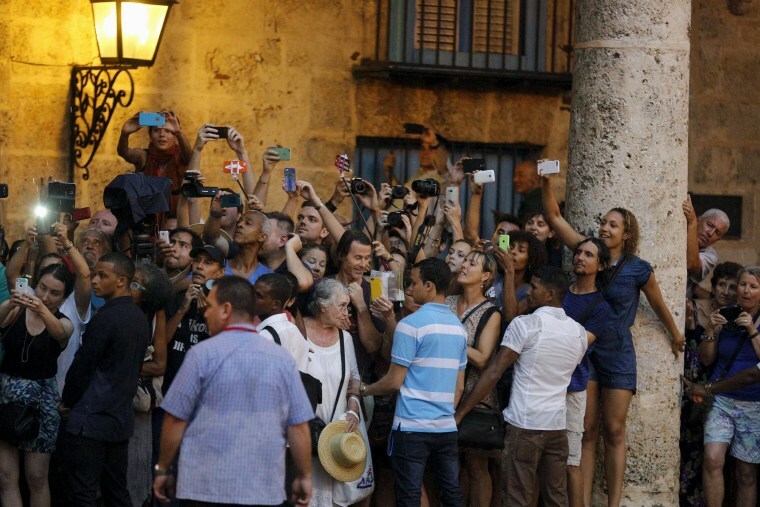 Tourists and local residents take pictures as President Barack Obama tours Old Havana with his family at the start of a three-day visit to Cuba, in Havana on March 20, 2016. 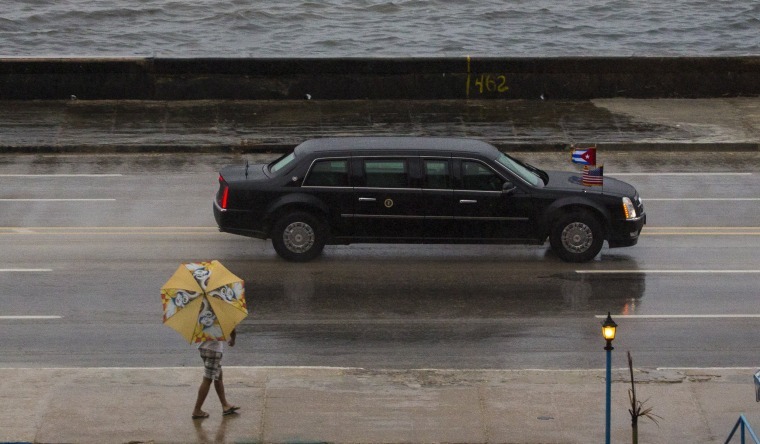 The vehicle carrying President Barack Obama drives along the Malecon sea wall on its way to Old Havana, on March 20, 2016. 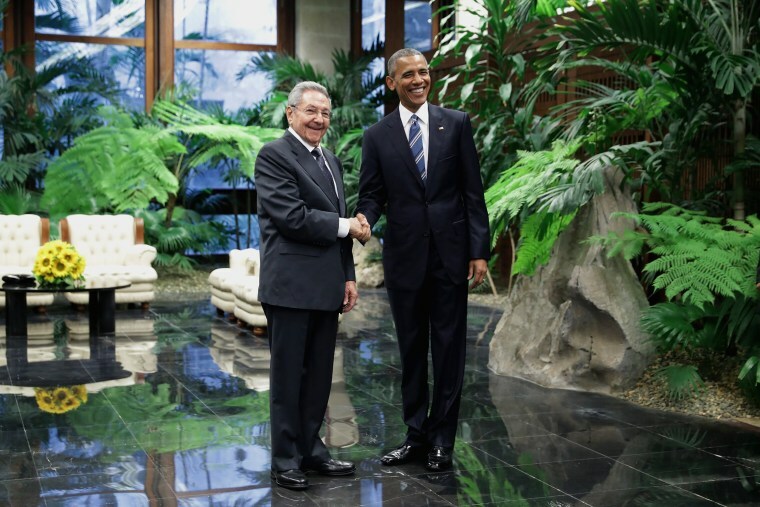 Obama's trip is a crowning moment in his and Cuban President Raul Castro's ambitious effort to restore normal relations between their countries. 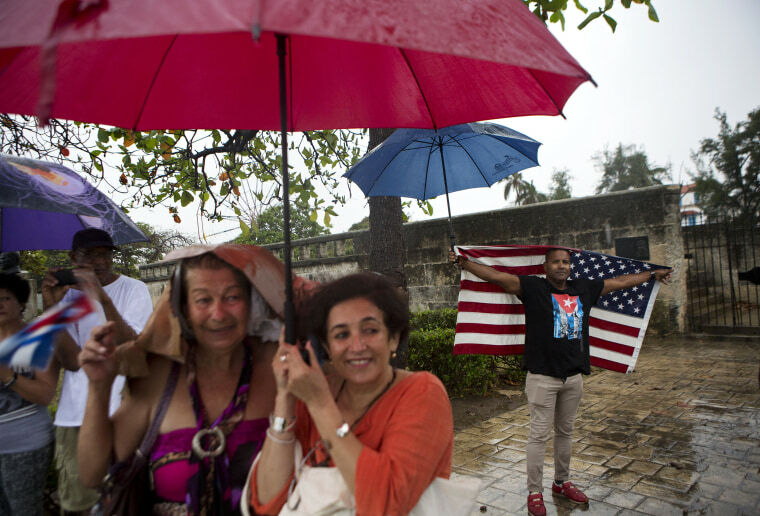 A handful of Cubans gather along the Malecon sea wall under a steady rain to wave to U.S. President Barack Obama's convoy as it arrives in Old Havana, on March 20, 2016. 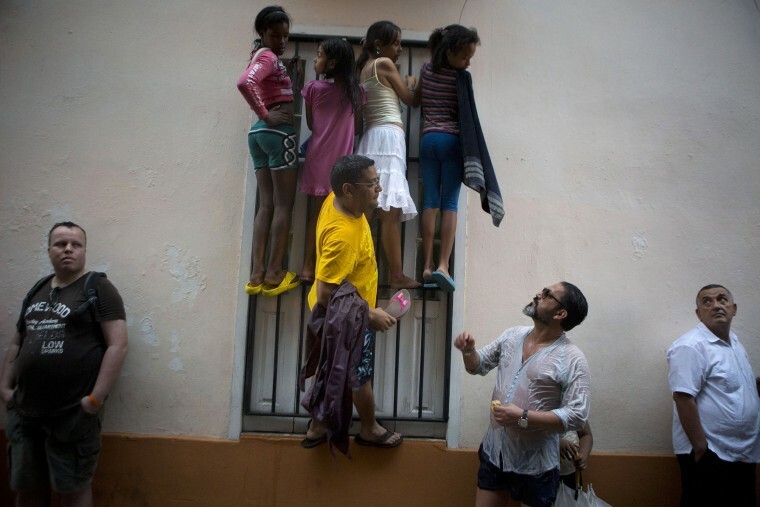 People climb a window grate as they get wet in the rain, in hopes of catching a glimpse of President Barack Obama during his visit to Cathedral Square in Old Havana on March 20, 2016. 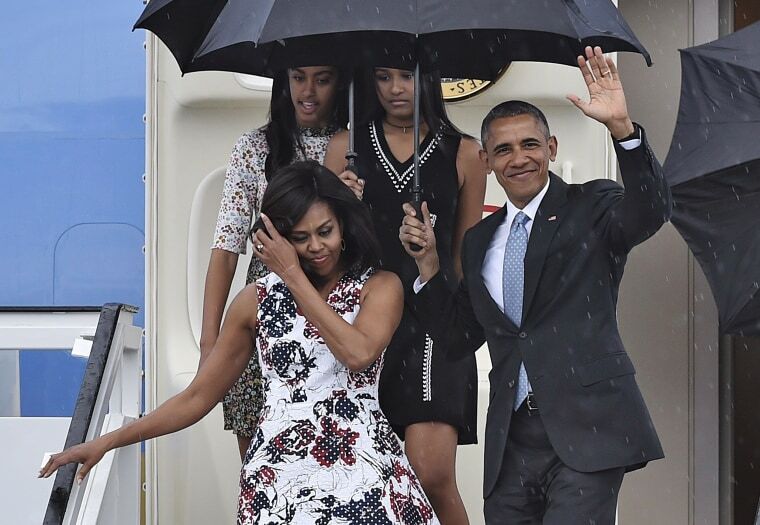 President Barack Obama, First Lady Michelle Obama and their daughters Malia and Sasha arrive at Jose Marti international airport in Havana on March 20, 2016. 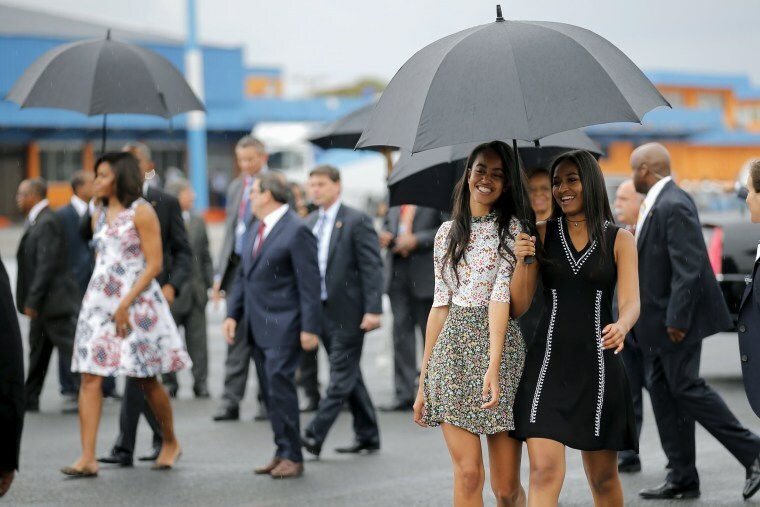 Malia and Sasha Obama arrive with their parents at the Jose Marti international airport in Havana at the start of a three-day visit to Cuba on March 20, 2016. 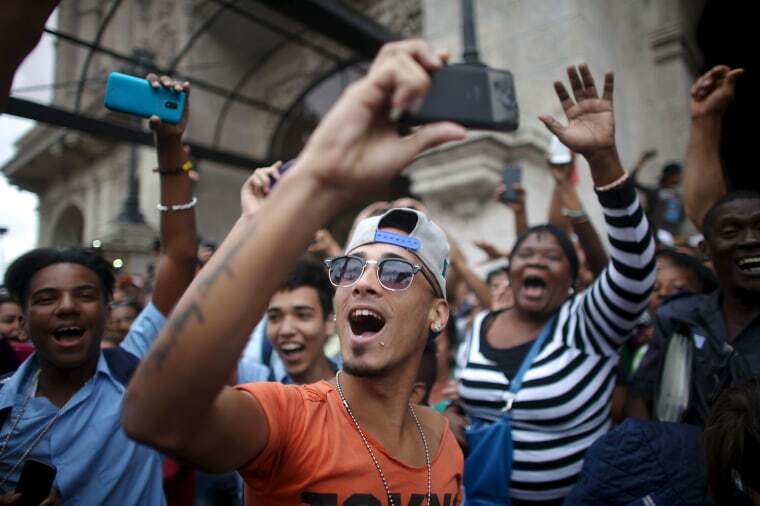 Tourists and Cubans wait for the arrival of President Barack Obama to the Havana Cathedral on March 20, 2016. 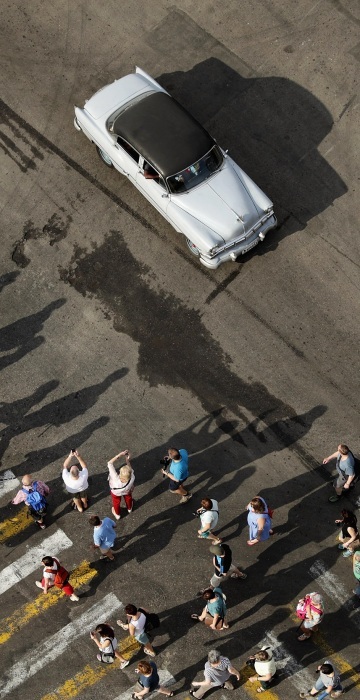 Cubans photograph Air Force One carrying President Barack Obama and his family as it comes in to land at Havana's international airport on March 20, 2016. 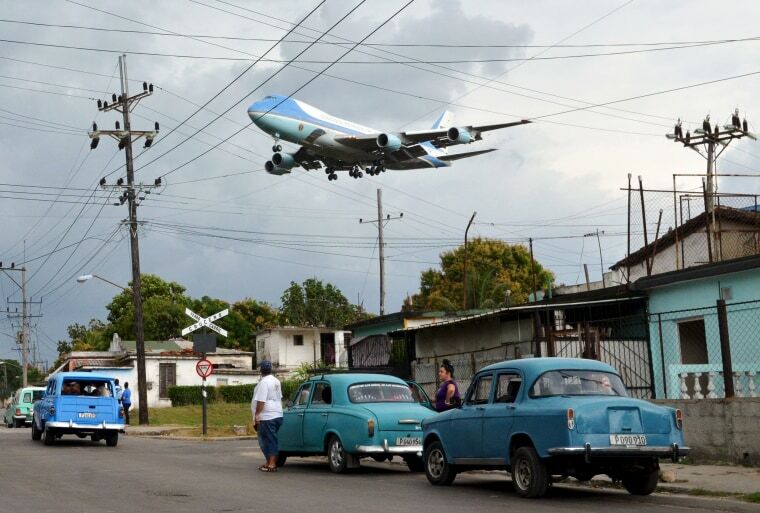 Air Force One carrying U.S. President Barack Obama and his family flies over a neighborhood of Havana as it approaches the runway to land at Havana's international airport on March 20, 2016. 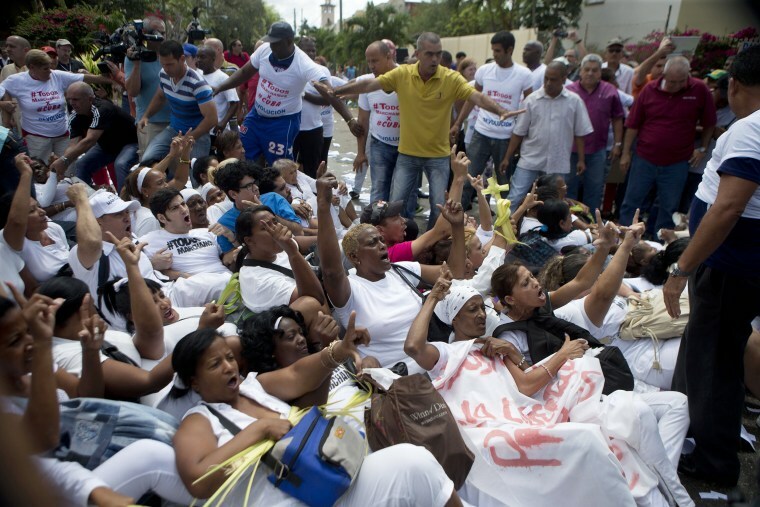 Members of Ladies in White, a dissident women's group that calls for the release of political prisoners, chant as they're surrounded by government supporters and police during their weekly protest in Havana, on March 20, 2016. 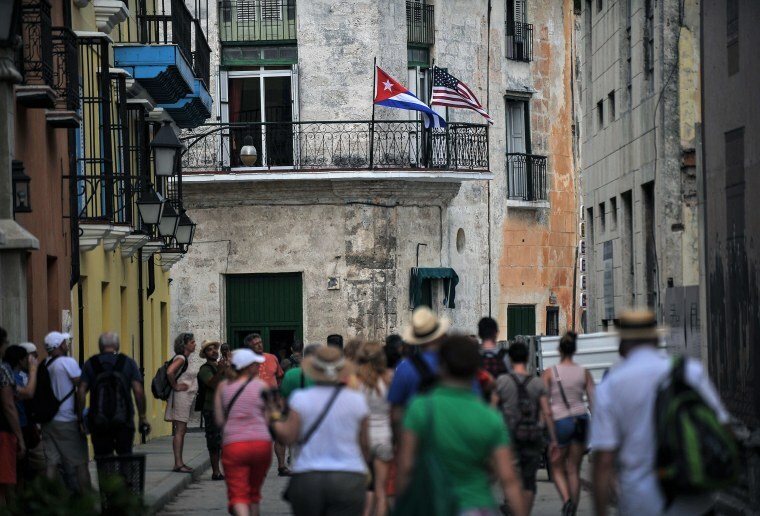 A large group of tourists walk through the historic Old Havana neighborhood March 20, 2016 in Havana.